Cover pages: Printed on 100 lb. card stock. Inside pages: Printed on 100 lb. text weight stock. Stapled, saddle-stitch bound. Additional pages: $1 per page. Minimum pages: 8 (refer to diagram below). Booklet page count must be in multiples of 4. Diagram 1: The total page count includes the pages that make the cover and back pages. When ordering large quantities, we always suggest ordering and reviewing 1 printed copy first. This allows you to see how your project looks once printed and trimmed. It also gives you the opportunity to catch any errors you may have overlooked while reviewing your project on screen. 8-page booklet $10.00 ea. $8.00 ea. $6.80 ea. $6.00 ea. $5.60 ea. $5.20 ea. 12-page booklet $14.00 ea. $11.00 ea. $9.20 ea. $8.00 ea. $7.40 ea. $6.80 ea. 16-page booklet $18.00 ea. $14.00 ea. $11.60 ea. $10.00 ea. $9.20 ea. $8.40 ea. 20-page booklet $22.00 ea. $17.00 ea. $14.00 ea. $12.00 ea. $11.00 ea. $10.00 ea. 24-page booklet $26.00 ea. $20.00 ea. $16.40 ea. $14.00 ea. $12.80 ea. $11.60 ea. 28-page booklet $30.00 ea. $23.00 ea. $18.80 ea. $16.00 ea. $14.60 ea. $13.20 ea. 32-page booklet $34.00 ea. $26.00 ea. $21.20 ea. $18.00 ea. $16.40 ea. $14.80 ea. 36-page booklet $38.00 ea. $29.00 ea. $23.20 ea. $20.00 ea. $18.20 ea. $16.40 ea. 40-page booklet $42.00 ea. $32.00 ea. $26.00 ea. $22.00 ea. $20.00 ea. $18.00 ea. 44-page booklet $46.00 ea. $35.00 ea. $28.40 ea. $24.00 ea. $21.80 ea. $19.60 ea. 48-page booklet $50.00 ea. $38.00 ea. $30.00 ea. $26.00 ea. $23.60 ea. $21.20 ea. 52-page booklet $54.00 ea. $41.00 ea. $33.50 ea. $28.00 ea. $25.40 ea. $22.80 ea. 56-page booklet $58.00 ea. $44.00 ea. $35.60 ea. $30.00 ea. $27.20 ea. $24.40 ea. 60-page booklet $62.00 ea. $47.00 ea. $38.00 ea. $32.00 ea. $29.00 ea. $26.00 ea. (after 8 pages) $1.00 ea. $0.75 ea. $0.60 ea. $0.50 ea. $0.45 ea. $0.40 ea. Booklets are only available with page counts in multiples of 4. If total page count is not a multiple of 4, blank white pages will be added to book at the end, before the back cover. We can convert and print your booklet project into single cut pages. The software will still prompt you for page counts in multiples of 4. Depending on the number of pages you need for your project, you may need to leave some pages blank. If you would like us to delete (not print) blank pages from your project, please contact us at production@focusinpix.com. There are no price adjustments available when deleting extra pages from this product. The entire project will be printed on 100 lb. text weight paper (no cover stock will be printed). We will print on both sides of each sheet (double-sided). There is no difference in price for this option. Your booklet project will be printed on one side of each sheet on 100 lb. text weight paper. 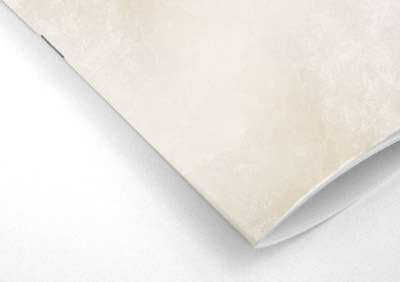 Since we will use more sheets of paper for your project, each set of pages is priced slightly higher. Click here to see pricing grid for this option. As an alternative to those that do not need a booklet, we also recommend using our Scrapbook Pages product for making Adoption Profiles. Scrapbook pages can include any page count will be produced as pages instead of a booklet. $10 per order. Drilled with 5/8-inch holes for standard-size binders. Available on single cut pages only. When designing your pages for 3-hole drilling, allow 1/2 inch margin on the binding side of each page so that text and/or critical elements do not get punched into. Add $25. 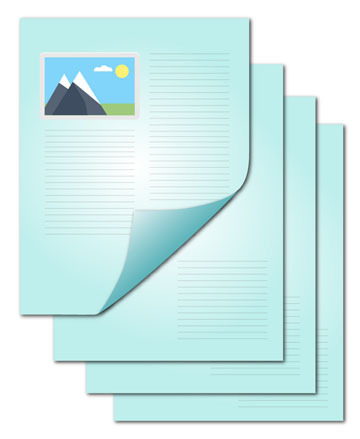 Focus in Pix will provide a watermark-free sharable PDF file of your final project. This file will be reduced in size so it is optimized for on-screen viewing only. It will be protected and not allow editing or printing. 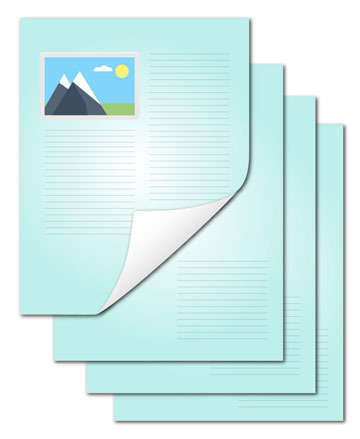 PDF sharable files are only available to those that purchase printing of their booklet project. Please allow 1-2 business days for email delivery of the PDF Sharable File after purchase. Note: If you only need a PDF for the purpose of proofing your project, we recommend making your proof PDF within Focus in Pix. Go to File > Create Proofs to make a proof pdf. Take note that the proof PDF is lower in resolution and shows ‘PROOF ONLY – DRAFT’ watermarking. Production Time: Allow 2-3 business days for book production. Allow extra time for large quantity orders. Shipping: $15.95 per order ground shipping. Allow an additional 3-5 business days for shipping. Free Store Pickup: During checkout, select to pick up at either Burnsville, MN or Lakeville, MN locations at no extra charge.